Exotic-looking, large, mid-blue flowers with overlapping, wavy-edged petals and creamy-yellow centres from May to June. Clematis Lasurstern is an early-summer flowering variety and looks lovely scrambling through a climbing rose in full sun or partial shade. 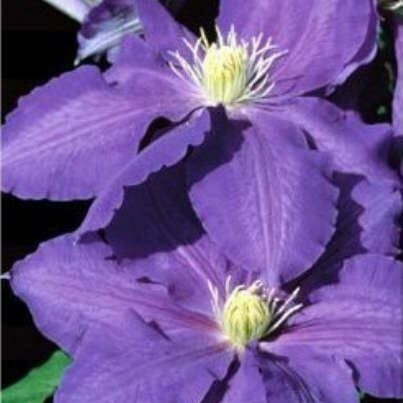 The handsome blue blooms contrast especially well with pinkish-mauve and yellow-flowered varieties. Supplied in approx 2-3litre containers.